Last month, I contacted a person who came up on my FTDNA match list. FTDNA suggested them as a 2nd to 4th cousin match. The person’s name was not familiar to me and they did not post a family tree. I contacted them but as of today I received no response. Last night, I decided to go over my recent matches. I looked at this person’s information once again (I will leave off their name for privacy reasons). I looked at their cM (centimorgans) and realized that this person has a higher cM of anyone in my list including my known 3rd cousin on my Pacheco side. My known cousin has a 36.67 cM. This new cousin has a 96.26! Zoinks! How could I not know this person with such a high cM? I opened RootsMagic to see if I missed something…and I did. I do have a person with the same name in my database. Only this person married into my tree, so that can’t be it. It took about five minutes for the light bulb to flicker on. The most likely answer was this person was the junior of the person in my database. I didn’t know much about the father, but I know quite a bit about his mother’s. I have extensive research on the Bourne’s who are my Grandma Shellabarger’s maternal cousins. As any genealogist would do who can’t get people to communicate with them, I went to the web and ran some searches. A couple of birth index entries, a newspaper article, and some information from public record databases later and I feel I have my answer. This person is, in fact, the son of the person in my database. The surname is unusual enough that I don’t think I have a look alike match. He and are 3rd cousins. Our great grandmother’s were sisters. We share common second great grandparents. It is too bad for them that they have not contacted me. I have a tremendous amount of information on his great grandmother and her parents, Thomas Augustine and Margaret (Kelly) Jones. For me, it’s a good research day. I have one more clue in deciphering my DNA results. There are 5 people who match this person on the exact same chromosome segment. Though they are more distantly related, I now have somewhere to focus. I know that they come from my grandma’s maternal line which is the Jones/Hayward families of Australia and Wales and Kelly/Dolan families of County Roscommon, Ireland. I can rule out my dad’s French side and my mom’s paternal Azorean roots. More importantly, I can rule out my grandmother’s paternal Jackson line in England. My new 3rd cousin was not from that side of the tree. My focus is more narrow, though it could do with a bit more narrowing! 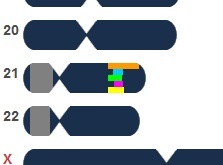 This is the chromosome segment showing promise. 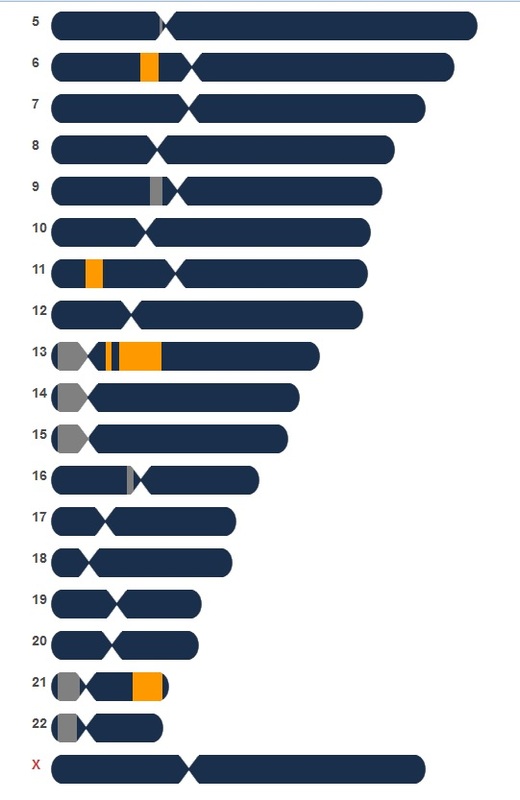 This shows my new cousin’s DNA segment with 4 of the 5 others who match it. Will I be able to unravel the clues that this hints at? This has been fruitful. Since finding my known Pacheco cousin among my matches, I haven’t made much headway. This is the best DNA match I’ve made so far. The other two have been many generations back. Let’s see if I can turn this bit of information into something more tangential. There’s so much to learn about genealogy and DNA. I think I am getting it bit by bit. Very late at night trying to organize the DNA segment results and I came upon your own DNA blog series. Thanks for sharing your tips. Thanks for reading, Magda! I’m learning about DNA as I go. There’s a huge learning curve here.